Learn how to sell electronic books online below using the PayLoadz payment and download delivery service. Are you interested in learning how to sell eBooks? Well, you may be relieved to know that selling ebooks is easier than you think. Overall, selling ebooks or selling electronic books is easy, affordable, and profitable, but knowing how is the key. If you thoroughly understand how to sell ebooks online and execute it well, the venture can be quite rewarding. However, many sellers notice that their ebooks just don’t seem to sell. Why is this? In many cases, the main cause that ebooks don’t sell is due to poor marketing, delivery, and payment options. Here is a comprehensive look at how to sell an electronic book effectively and leave plenty of room for profit and how PayLoadz.com can help you solve those issues. Before you begin, you must be clear about the terminology used in the ebooks world. 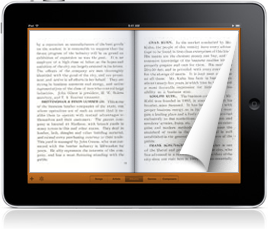 People use different terms such as digital books, electronic books, or e-books when they refer to ebooks. So selling electronic books or selling digital books is simply about selling ebooks. The subject matter is very important if you want to sell a digital book. Though it is always preferable to write what you know and sell what you like, it can become problematic when it comes to a successful eBook business model. It is a good idea to sell an electronic book or series of books with topics that are of interest to your customers. So, knowing what the public wants is a great way to achieve success selling eBooks. A good way to achieve this goal is to conduct keyword searches to learn what people are looking up. It is also a good idea to visit forums and discussion boards to see what people are talking about. Knowing your customers is a great way to sell eBooks. Many eBook sellers fail because they do not advertise sufficiently. If the public doesn’t know that your eBook exists, how will they buy it? One mistake is to invest in the cheapest advertising methods possible; this will not help you in selling electronic books. Advertising relies on researching your target market and then placing ads in venues where that target is likely to be. Reaching a targeted audience that is interested is definitely a way to successfully sell an electronic book. Additionally, your ads should contain relevant information and keywords. The PayLoadz Store is one feature that is provided to all PayLoadz users to help them market their ebooks. The website receives tens of thousands of visits per day and is a great starting point for any ebook marketing campaign. What are Your Options when it comes to Selling eBooks? If you want to know how to sell an electronic book, you need to know all of your options. That means having an understanding of the different payment methods, delivery systems, and seller platforms available to you. Not only do you need to know your options when it comes to selling eBooks but you also need to offer your customers plenty of choices as well. Selling ebooks requires that you consider the delivery methods. It is advisable that you make the delivery process as automated as possible. There are quite a few options when it comes to delivery systems. One common way to deliver ebooks to buyers is to deliver them via email as an attached file. However, many sellers prefer not to do this as the process involves too much manual intervention. The sellers need to keep track of payments and sending ebooks to individual buyers and there is always a scope for missed payment or missed delivery of ebook resulting in either a loss of revenue or an unhappy customer. Another option is to have your eBooks hosted on an online platform like PayLoadz which automatically delivers ebook to the buyer once the payment is received. You may also consider selling electronic books as tangible media such as CDs and DVDs. As far as delivery systems go, the PayLoadz Platform is extremely reliable and has tremendous delivery rate. We ensure your customer gets the book they purchased instantly using our advanced delivery mechanisms that have evolved over many years. In order to sell ebooks online, the payment options that you provide to buyers should be easy, quick, and convenient and at the same time should also provide enough security to both the buyers and sellers. Also one should be able to provide several options to the buyer to make payment. The easier it is to pay, the more ebooks you are likely to sell. You must be able to accept electronic payments in order to sell ebooks. One option is to set up your own merchant account and online credit card and bank payment facility. This option can be expensive as well as time consuming for the seller to operate and maintain. Also, the buyers may not find it trustworthy. The second option is to choose online payment processing companies such as PayPal and Google Checkout. Both of them are low-cost services that allow buyers to make electronic payments directly from bank accounts and credit cards in a secure manner. PayLoadz offers integration with several payment providers such as PayPal, Google Checkout, TrialPay, Amazon Payments etc. and setting these up takes only minutes. When integrated with delivery platforms such as PayLoadz the overall process of payment and delivery becomes a really easy and inexpensive system for selling ebooks. Setting the price and supporting your customers are also very important aspects to be looked at when you are planning to sell an ebook. Pricing is more of an art than a science, so it might be helpful to check other sellers and see what they charge. You don’t want to overprice you’re just beginning to sell ebooks. Conducting market research to determine how much the public would be willing to pay for will be helpful in selling ebooks. Customer support is also important. Do you offer support for their problems? When you are selling electronic books you will need to provide a certain level of customer support. Speedy response time, reasonable prices, delivery options, and a selection of payment methods will only improve the chances of success in selling ebooks. Remember, selling ebooks doesn’t have to be difficult. As long as you research and employ a variety of delivery options, payment methods, and advertising efforts you will be able to sell ebooks easily and profitably. The easiest way to sell ebooks by far is PayLoadz Express for eBooks - a simple, single web form that allows you to sell e-books instantly. The PayLoadz digital delivery system has evolved into a powerful ebook sales and delivery service. We are the original download service provider operating on the PayPal payments platform and have received numerous accolades for the services we provide. Sign up today for a free PayLoadz account and sell your ebooks instantly.